There are several fun events coming up this month for families of children with special needs. 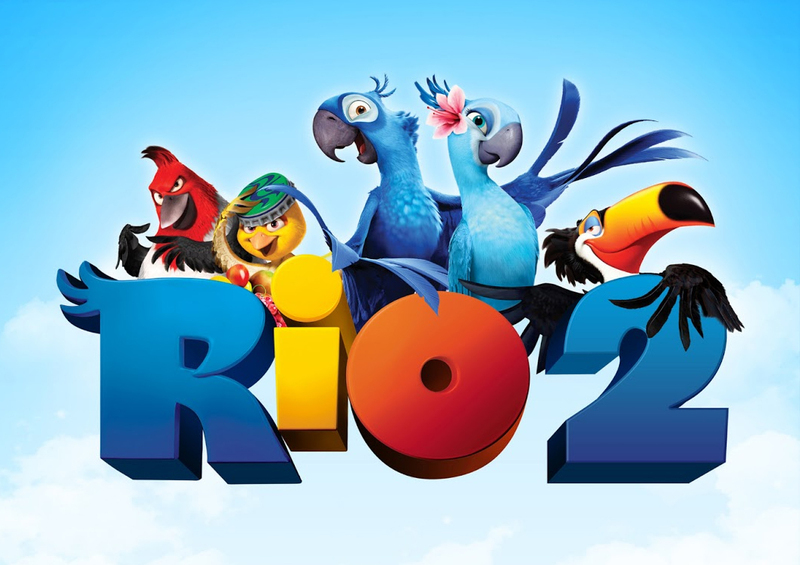 Here is a list of several events, Easter Egg Hunts, and Sensory Friendly Movie showings! U.R. 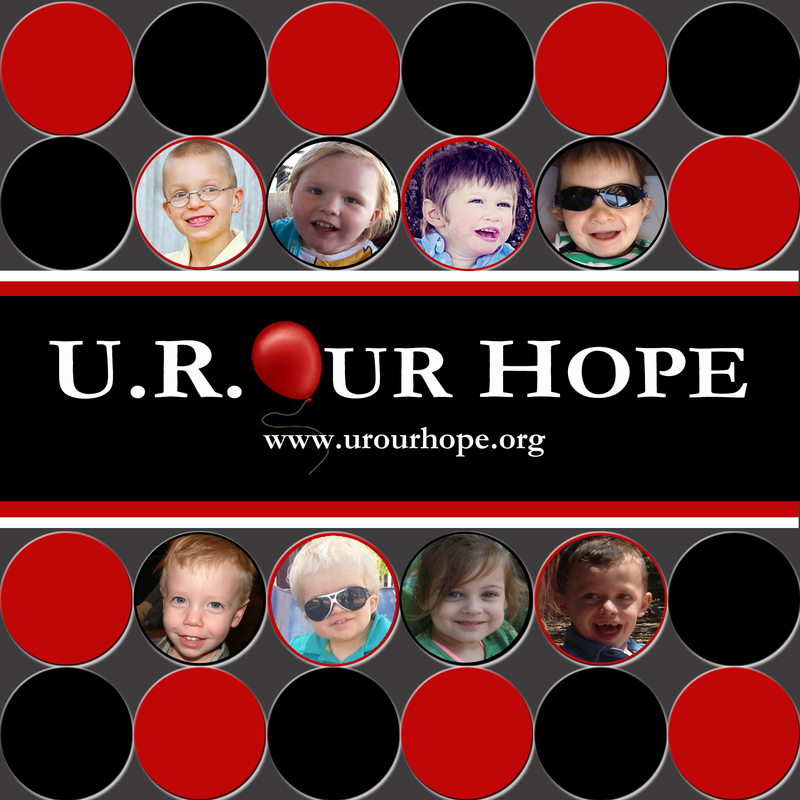 Our Hope is a local non-profit that assists families on the journey to diagnosis and helps those with a rare diagnosis navigate the healthcare system. The group meets once a month at local restaurants or parks to allow for face-to-face support for families who have a child who is Undiagnosed or Rare. This Saturday, U.R. Our Hope is meeting at the Play for All Abilities Park in Round Rock, TX. All are welcome to join in the fun! If you are interested in learning more about U.R. 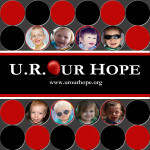 Our Hope and their services, simply join a meeting or visit their website. 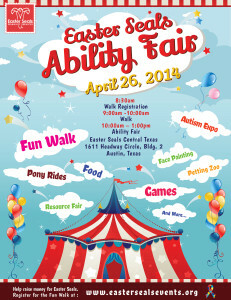 Easter Seals Central Texas Ability Fair and Walk is a fun, family-friendly event for all ages and abilities. The event kicks off with a Walk at 9:00am and teams can raise money to benefit our mission. The Ability Fair starts at 10:00am. Admission to the event and activities are free. Activities include a disability resource fair, inclusive games, petting zoo, pony rides, food and more. Visit the Easter Seals Events website for more info! Saturday, April 26 : 11:00 am – 2:00 pm – Sammy’s Super Carnival! 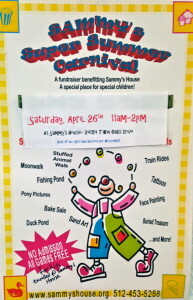 Sammy’s House will be hosting an adaptive carnival designed to include children of all abilities. The carnival will be free and open to the public as well. Come by for a judgement-free, SPD group play day on April 27, 2014. There will a play-scape, bouncy house, small trampolines, “rollercoaster” for toddlers, and free food and treats provided by Better Bites Bakery. This is a great opportunity to meet other families with Sensational kids and come together as a community to play and have fun, informal environment. Please check out the Austin SPD Calendar for contact information and additional details. 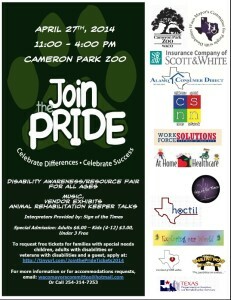 Join us for Join the Pride, a disability resource fair for all ages at Cameron Park Zoo on Sunday, April 27. CSNN and the Waco Mayor’s Committee for People with Disabilites will help cover the cost of tickets for families with children with special needs. Preregistration is required to take advantage of the free tickets. You may register for the event here or by calling the CSNN office at 254-933-7597. Please join us Saturday, April 19 on one of our three campuses for Bannockburn’s 3rd annual Easter Eggstravaganza! This is a free gift to the community and is for boys and girls from babies through 5th grade. Free Easter egg hunts, bounce houses, face painting and Easter photos as well as free refreshments. We will also have a special egg hunt for our children with special needs. 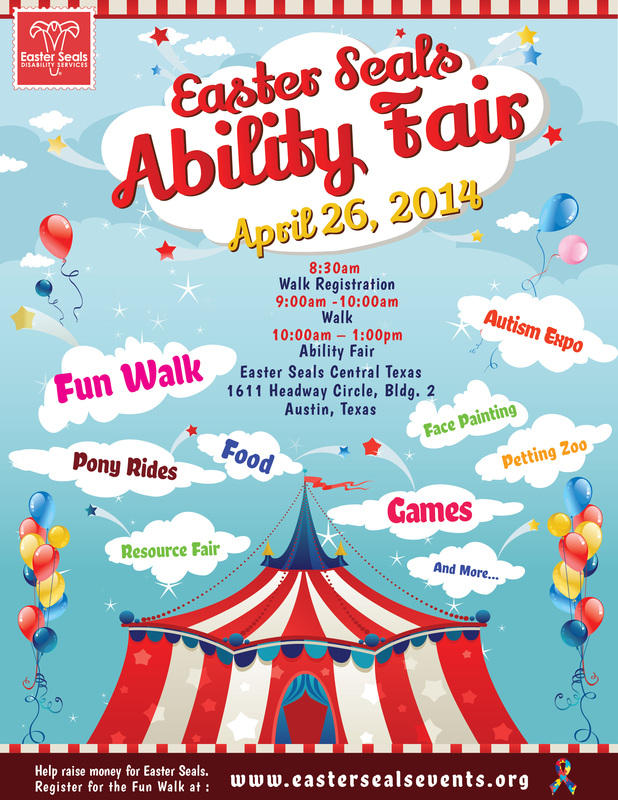 Here is a great list from Free Fun in Austin showing all of the Easter Egg Hunt opportunities! Note that just because these do not specify “Special Needs” does NOT mean you and your family are not welcome! Your kids are kids FIRST and deserve to have some Easter fun. Don’t be afraid to join in. For a list of future showings, visit the AMC website.